One of my biggest frustrations in life is my skin. I dream of having blemish-free skin. That's all - it doesn't have to be radiant or even-toned, just clear. I think the last time I had clear skin was 2008, for about a week when we went skiing in the French Alps. That, right there, is a testament to how long I have been struggling with my skin. It eased off a little bit two years ago after the introduction of Vichy to my skincare routine, but soon developed resistance and has been absolutely out of control ever since. I've tried increasing my water intake, changing my diet, reducing dairy, stripping back the products I use, going foundation-free... all without success. 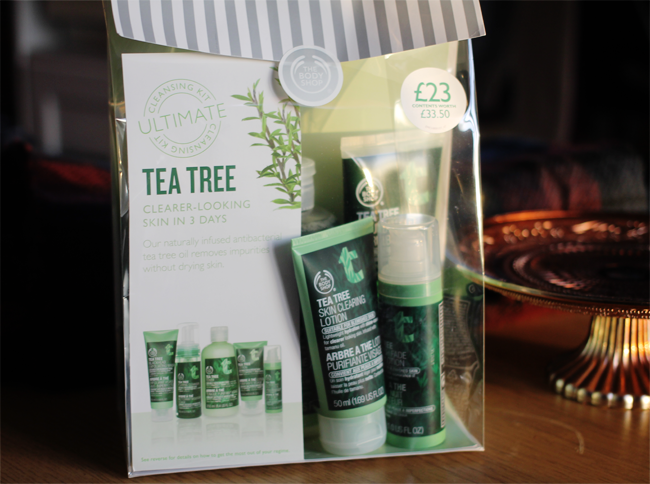 At the end of November I found myself wandering into the Body Shop in search of tea tree lotion, but my eye was soon drawn by the promises of clearer skin in 3 days, as assured by the tagline on this Tea Tree kit. With a saving over £10, I found this was pretty good value for money. I also like having matching products in my bathroom, so if you're slightly concerned with things being the same then you too will appreciate this. I'm no stranger to tea tree so the smell doesn't put me off, but if you're sensitive to scent and don't like smelling like a plant, then it's probably not for you. The big pull for me was the idea of having a whole skincare routine in a bag for £23 - it's rare for me to use products from the same line or brand as I'm usually mixing and matching my skincare, but I thought it was worth a try! I decided the only way to properly test this out was to use no other skincare product for the duration of the trial period, although I did continue to apply primer and make up as usual. I began the test on Sunday 30th November, so according to the claims on the kit, my skin should be seeing results by Wednesday 3rd December. In the mornings, I used the foam cleanser in the shower, followed by a sweep of the toner, then the moisturising lotion. In the evenings I used the foaming cleanser (with a dab of oil on my eyes as I didn't find the foam properly removed my mascara), followed by the toner, the blemish fade lotion, and some nights I also dabbed a bit of moisturiser on as I found my skin felt a bit drier than usual. I used the face scrub a couple of times a week as my skin doesn't like too much exfoliation - however, the scrub is certainly gentle enough to use daily on non-sensitive skin and I actually found it to be the gentlest product of the bunch. Was my skin clearer after 3 days? Not quite, although I noticed some fading on older spots. I did get a few new ones throughout, but they seem to dry out pretty quickly and didn't cause me as much grief as they usually do. I experienced a little stinging after applying the toner and both lotions, although it soon faded and didn't leave me with any redness. If you have hyper-sensitive skin then I would probably recommend seeking advice before using these items. My favourites are the toner and the night lotion, as I feel like they could be really beneficial to my skin - the toner is a lot gentler than I imagined. I also like the scrub a lot because it's not as abrasive as I was expecting it to be, and does leave my skin feeling nice and soft. I can take or leave the cleanser as I'm a fan of gel cleansers over foaming ones, and the daily moisturiser is nice but perhaps not as deeply moisturising as I would like for winter skin. I can see it working a treat over the summer months though! Overall I would say my feelings are fairly positive towards the products, although the 3 day claim is a bit over-enthusiastic! 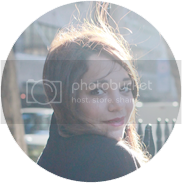 I'm definitely going to keep using the routine and see if there are any substantial improvements - if so then I will update this post. I would recommend the products but definitely take the 3 day claim with a pinch of salt! Nothing works overnight of course but I'm hoping in the long run my skin will start to behave. 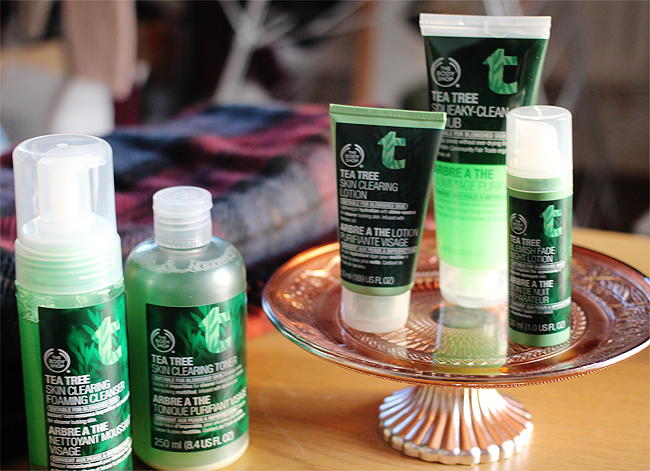 Have you tried the Body Shop's tea tree skincare? Did it work for you? Please let me know in the comments!